The big brother of our tractors. This Kenworth is outfitted with a MASSIVE CAT motor cranking out 2000+ lbs. of torque. This road monster is our favorite truck for those real heavy construction machines and wideloads. 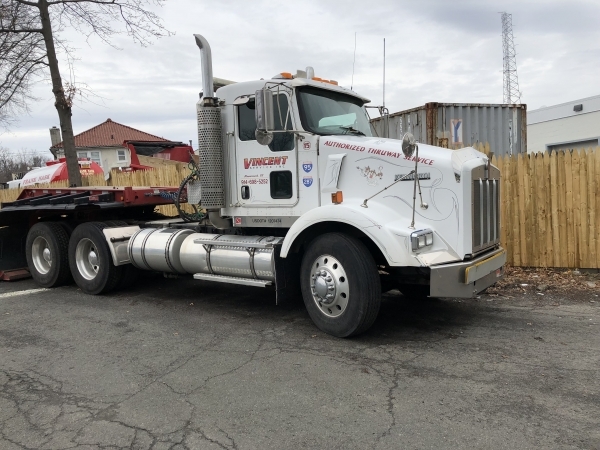 Also used for recovery jobs that require an additional tractor trailer. This Kenworth can be spotted running up and down the interstate making deliveries in the North and South all day long.